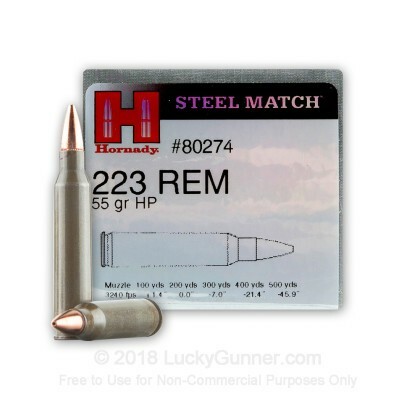 Hornady's steel cased line of 223 Rem 55 gr HP Match ammo is great for shooters seeking match performance at a more economical cost. 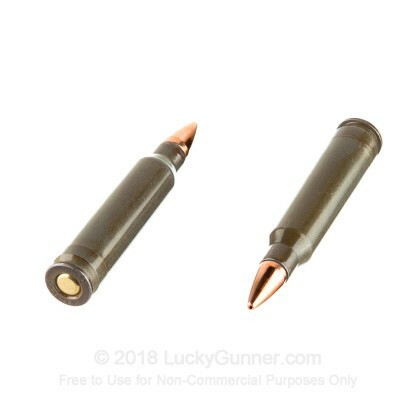 Hornady realized a market need for match shooters that don't reload their cases and as a result are essentially throwing money away leaving their brass on the ground. Since steel cases are available at a much lower cost than brass cased ammo, Hornady is able to provide a very accurate load at a lower cost while still putting the value into components that matter the most such as the high-end powders and projectiles. This ammunition is loaded in polymer coated steel cases that are berdan primed. This ammunition is non-corrosive and non-reloadable. 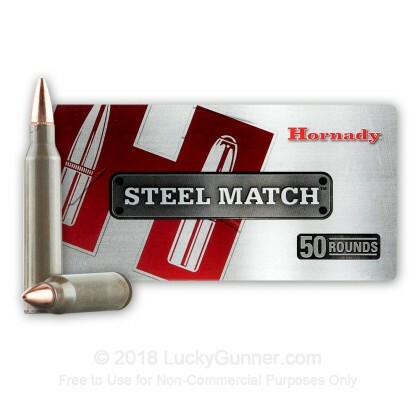 For match-grade accuracy at a reduced cost, try a box of Hornady's steel cased Match ammo! Excellent product, fast shipping, will definitely use this site again. 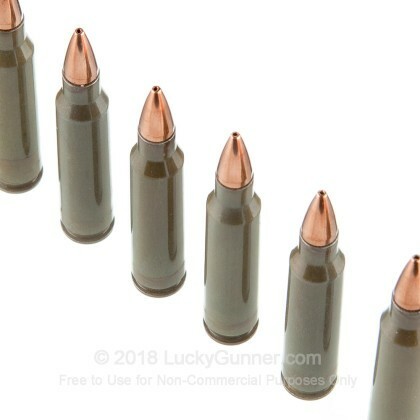 I've gone through a few hundred rounds of this steel-cased Hornady and it's been every bit as good as any of the brass-cased ammo I've used. More consistent than Wolf, and no bi-metal case on the projectile so the local indoor range doesn't have a problem with it. 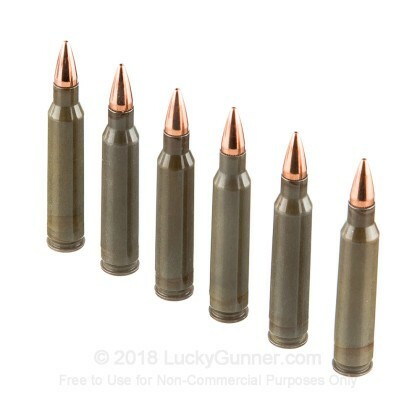 About to order another 500 rounds. 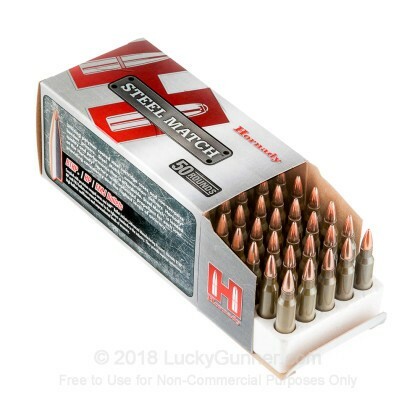 We also have this 223 Rem - 55 gr HP Steel Match - Hornady - 50 Rounds ammo in stock in a smaller quantity.